News Opinion: Should Brady be left to die? and Why are we still tackling Racism nearly 20 years after the death of Stephen Lawrence? Moors murderer Ian Brady has lost his appeal for the right to be transferred to a normal prison unit and will remain in a high security mental hospital. If reports are to be believed Brady’s efforts could be considered a suicide attempt. Moors murderer Brady, now 75, has been on hunger strike since 1999 and is now fed by hospital staff by a feeding tube to fight his resistance. Throughout the trial this week Brady himself made his case to the judge on trial stating that he had learned many things in prison, studying German and Psychology and appears to have had a fairly luxurious life inside. His boasts of socializing with the likes of gangsters the Kray twins as well as the great train robbers give a hint of some warped sense of glamour. Brady painted a picture of a fairly homely experience of living off of steak until the inmates were ‘sick’ of it, the mere thought angering the British public. When questioned about his plans of suicide Brady consistently avoided the question, instead lavishing in his ‘fame’ comparing himself to notorious Victorian villain Jack the Ripper and his views that the British public and press loved the mystery of the moors murders. The families of Brady and girlfriend Hindley’s victims were outraged as to the cost that Brady was costing the British taxpayer in legal aid as well as claiming that this was all part of Brady’s love of the spotlight. 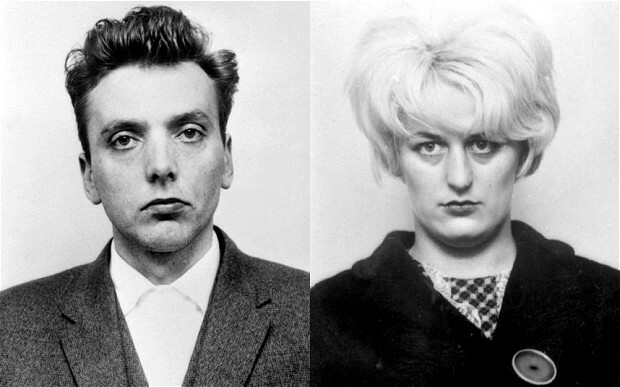 Brady and Hindley in the 1960s after they were arrested for murder. Although fresh claims have come to light that may pull Brady into the spotlight once again, much to the torment of his victims families. If reports are to be believed Brady has claimed to have murdered more than just the five children that were believed to be buried on the moors. If Brady’s rants are anything to go by many of the British public would consider him mad, calling his crimes ‘petty’ and comparing himself to a soldier at war. We must consider however if we should let Brady have his wish and let him die. For many there is a strong agreement of let him starve himself or better yet hang him for his crimes. With the latest evidence however which includes claims that the police have been searching for the body of Keith Bennett in the wrong place for the last 50 years. It begs the question are we letting Brady lead us on a wild goose chase or could there be some truth to his many ramblings. Unfortunately we may never know and for Keith Bennett’s mother, who tirelessly begged for her sons body to be returned it is too late after she passed away last year. Although I am no expert it appears to me that this is all part of Brady’s plan to gain attention from the public again. Although incredibly disturbing Brady’s speeches made in the trial appear to want to shock and anger people. I feel that letting him die or killing him would be pointless. Why should we give him the release of death? What this does highlight to me however is that British prison systems should be stronger and restrict anything that is unnecessary. There are too many reports of mindless thugs, murderers and rapists being able to lounge in a cell with free health care, television and internet access as well as three meals a day. I doubt Brady would even kill himself as the nurses who care for him have stated that he does make himself food giving even more evidence that this is all an act. In light of this I feel we should bring back old prison systems, a small room with the only access to the outside world being a pen and paper, a small exercise yard and certainly no luxuries. Why are we still tackling Racism nearly 20 years after the death of Stephen Lawrence? Another story hitting headlines this week is that during the case of murdered teenager Stephen Lawrence senior police officials tried to smear the credibility of the campaign. 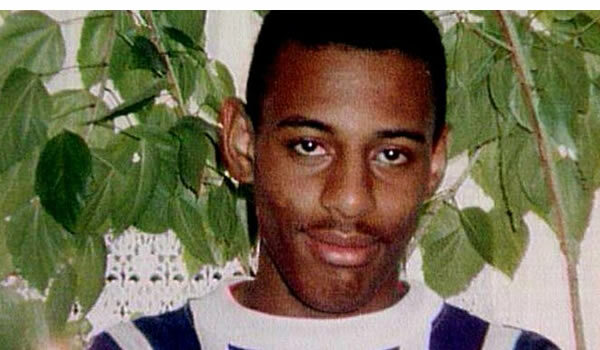 It took 18 years for the killers of Stephen Lawrence to be brought to justice however after a television interview reveled that there may have been racist actions behind the slow response to Stephen’s murder. Stephens mother has always stood firm in her opinon that her and her family were not treated well in the aftermath of Stephen’s murder, often left in the dark and having to fight for their basic rights as the family of the deceased. I take my hat off to her as she has finally been proven right nearly 20 years later with claims that the family were watched and that undercover police had tried to get close to Stephen’s friends and family and ‘find dirt’, simply to make them appear in a bad light to the British public. To some extent unfortunately this worked as Lawrence’s friend was branded a thug for taking part in a rally in London in the late 90’s after getting arrested. At this current stage an inquiry will be taking place in the near future and details and allegations are sketchy however my gut instinct is that the allegations may well prove to be true. If and when they are proven this will not surprise me, I am sickened that nearly 20 years after Stephen’s murder that his family have had to fight so hard for the truth and justice which the British courts should have provided them with. I am horrified at the levels of racism that are so clearly present and if this has been hidden I will be incredibly ashamed. Stephen was murdered two years before I was born but the story has dominated the news pages throughout my life and it truly does highlight the extent of racial hatred, not only in his senseless murder but also the neglect following the case simply because he was a black man. I give my best wishes the the Lawrence family and will be following this story closely and hoping they get nothing but the best treatment and there are not minimal penalties for those allegedly involved. Stay tuned on this story.. I do not claim to have any copyright over these photographs. Should an NHS fee be introduced for all non UK residents?